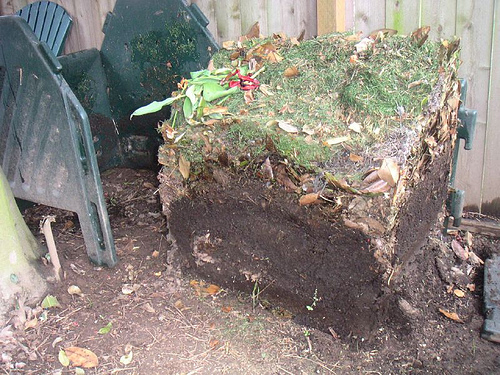 When composting, compost bins offer several advanatages over unrestrained compost piles. Composters are aesthetically superior, they offer protection against the elements, they prevent animals and invasive roots from stealing nutrients, and they make it easy to transport finished humus. Compost bins are also easier to work with than compost piles, so they save time and reduce back strain. Compost bins are much nicer to look at than unorganized compost heaps. Scrap piles have a habit of losing their shape as the contents break down, and they often collapse to cover large areas with decomposing waste. Bins contain the scraps and provide both support and structure. This keeps the compost compressed, which helps retain heat and accelerates decomposition. Compost bins also protect bacteria from temperature and humidity extremes. The walls of the composter offer insulation from the cold, and they also help transform sunlight into usable energy while blocking lethal UV rays. When it rains or snows, the lid of a compost bin keeps excess moisture from drowning the compost. 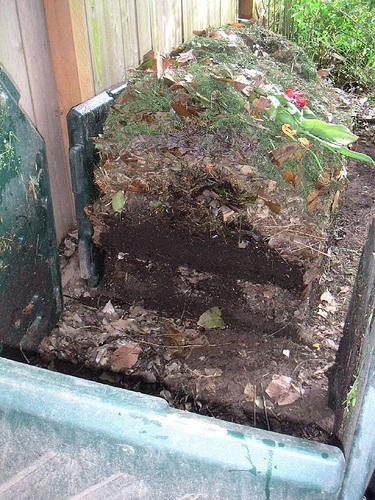 Many compost bins are also designed to promote drainage of excess water. Excessive water can asphyxiate the bacteria that breakdown organic waste. When aerobic bacteria die off, smelly anaerobic bacteria take over and slow down the composting process. Animals are often attracted by the smell of decomposing waste. The strudy walls of a compost bin will often keep scavengers like rats, birds, and racoons out of the compost. There are some compost bins that are even designed to keep bears away with airtight seals or strong, metal walls. When animals find compost piles, they often make a big mess and steal away the ingredients. Plants can also affect compost piles. If there are trees or vines nearby that grow aggressively, their roots wil find the compost pile and siphon away valuable nutrients. Weeds can also deposit their seeds on open air compost piles, and those seeds will germinate when the soil is used later as a fertilizer. 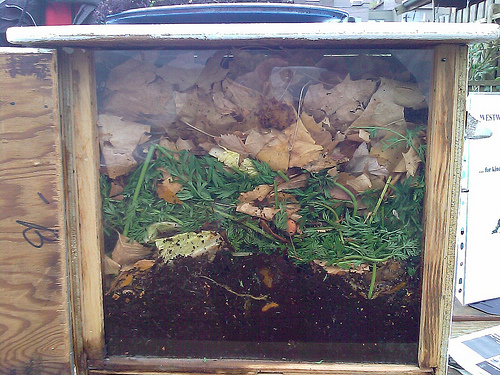 With a closed compost bin, roots and wind blown seeds have no way to reach the compost. 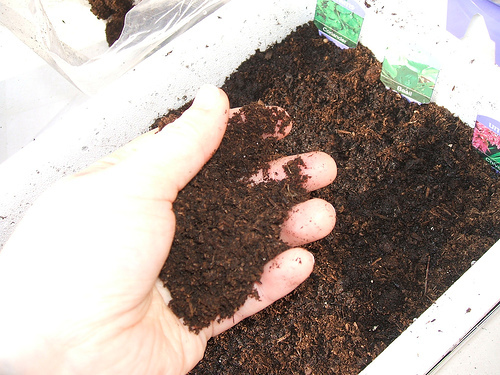 If any seeds from the waste ingredients try to sprout inside the compost bin, they will die due to a lack of sunlight. Compost bins and pails are easy to move around. This makes it easy to use the finished compost and transport it to wherever you need it. There’s no need to strain your back digging up finished waste or lifting shovelfuls of dirt into a wheel barrel. 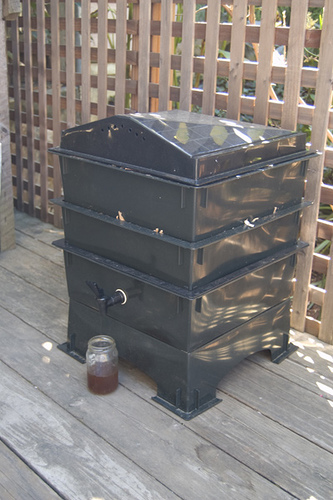 Instead, you can just push the composter over to your garden and pour out rich, fluffy soil. Photo courtesy of Jan Van Raay at Flickr.com. More at http://www.otherthings.com/janvanraay/.